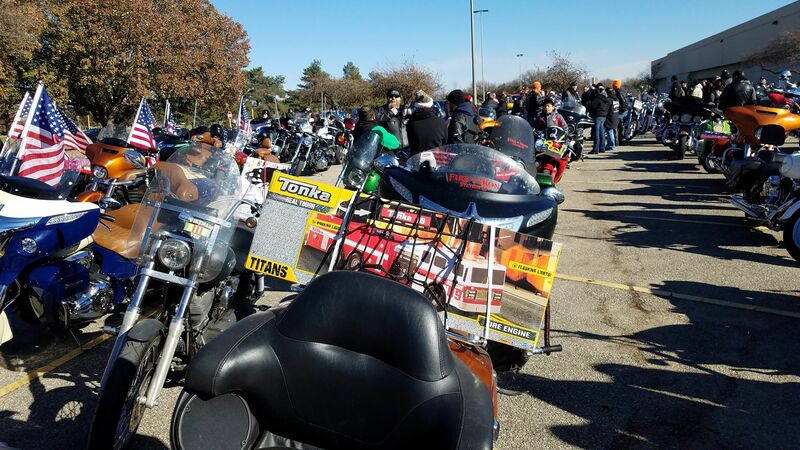 Nearly 200 motorcycles gathered on a bright but chilly Sunday afternoon to roar cross Salina together. 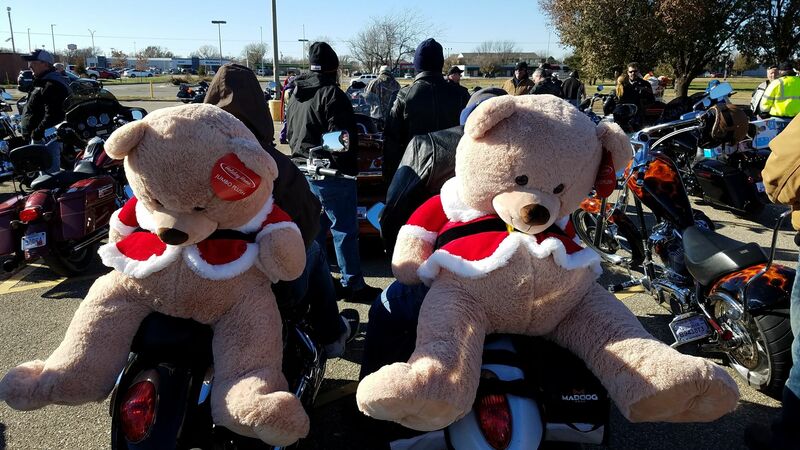 For the 32nd year in a row area bikers collected and delivered toys for Salina children. Over the years riders have had to endure some wild weather at the event. Everything from rain, to snow and bitter cold. Until this year, the last couple of years were not bad. 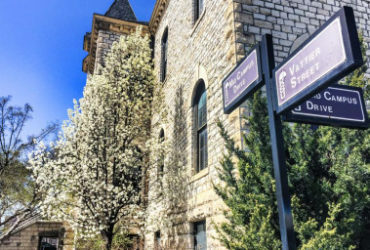 Last year the sun was shining and the temperature was holding steady in the mid 50s. This year was much different. As the bikes roared out of the Central Mall parking lot the temperature hovered right around the freezing mark of 32 degrees. Leading the way was the Salina Police Deportment, appropriately on Harley Davidson motorcycles, along with that jolly old elf Santa on the back of a four-wheeled ATV. A long line of riders followed, parading out of the Central Mall Salina parking lot carrying their toys. Though all of the motorcycle riders and their passengers were dressed for the weather, many were also colorfully dressed for the season. After parading across and around town, the procession stopped at the Emmanuel Foursquare Church to drop off toys. 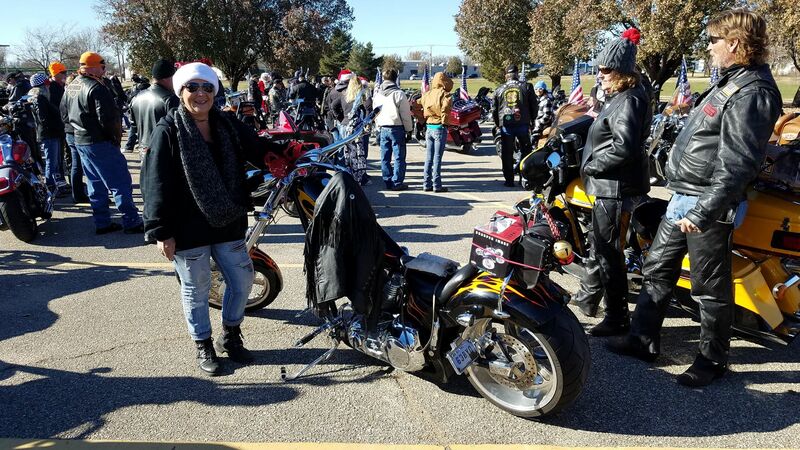 They then headed to Harley Davidson Salina for a chili feed. As the long line of riders snaked through Salina, citizens lined up along some of the route to wave and offer support. Organizers told KSAL News that there were 189 motorcycles in the procession. All of the toys collected as a part of the Toy Run event will be donated to the Ashby House and to the Domestic Violence Association of Central Kansas. 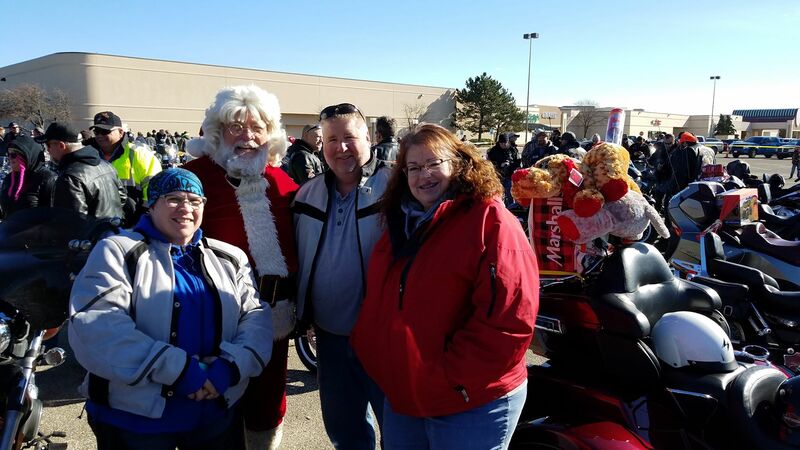 For the 32nd year in a row the toy run roars across Salina.